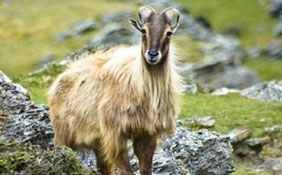 It is located in the state of Madhya Pradesh. It is spread for more than 940 square kilometers. 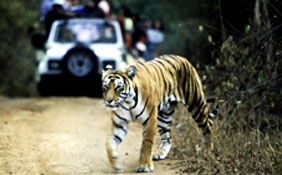 It has been a major Tiger Reserve since 1974. 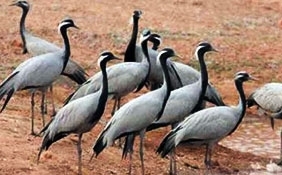 You can find more than 175 different species of birds in the Kanha National Park. 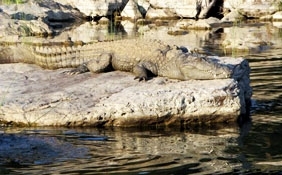 Go for Jungle safari and spot various birds, animals and reptiles. 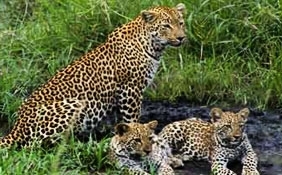 Kanha National Park, Madhya Pradesh is one of the major national parks that is visited by large number of nature and adventure lovers. 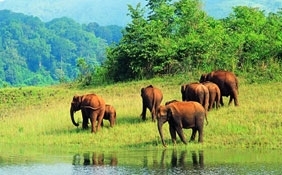 If nature thrills you then this is the ideal destination for you to spend your vacation. 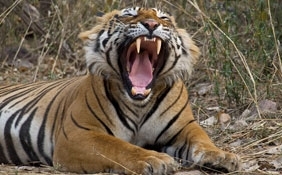 Spread for more than 940 square kilometers, this national park has been a major Tiger Reserve since 1974. 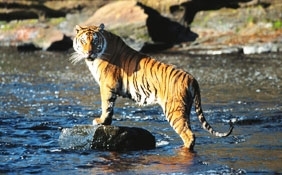 Tigers are the main attraction of the Kanha National Park, Madhya Pradesh. 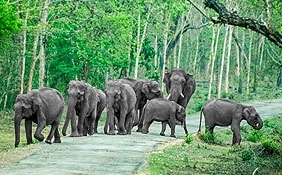 You can find extensive range of fauna in the Kanha National Park. It is a typical deciduous forest and Sal tree dominates the entire forest region. 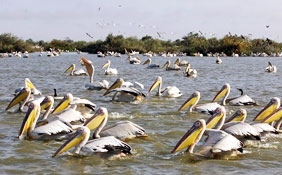 You can find more than 175 different species of birds in the Kanha National Park, Madhya Pradesh. 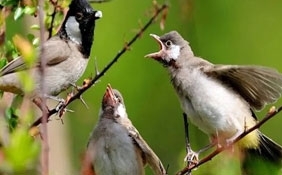 If you are an ardent bird watcher, then you can find various colorful birds perched on the trees. Some of the common birds found in the Kanha National Park are purple heron, white eyed buzzard, shikra and paddy bird. 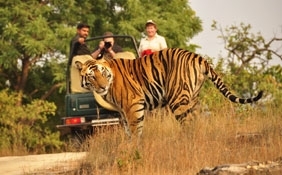 Kanha National Park, Madhya Pradesh is known for its huge collection of tigers. The wild inhabitants that are nurtured in this national park move about in their natural habitat. 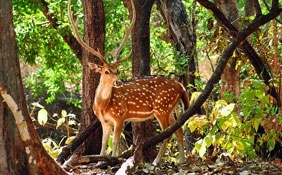 The dense forest of Kanha protects about 22 mammal species. 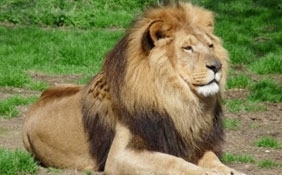 Some of the major animals, which you can find at this national park are tigers, wolf, rhesus macaque, striped hyna, gaur, Bengal fox, Indian hare, four horned antelope, langur, sambar deer, Indian palm squirrel, smooth coated otter, golden jackal, wild boar, swamp deer, dhole, leopard, chital, nilgai, bison, blackbuck, jungle cat, Indian grey mongoose and Indian porcupine. 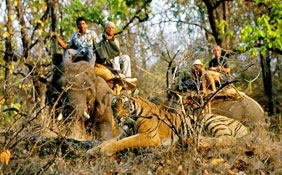 Wild life safari within the Kanha National Park, Madhya Pradesh is very exciting and thrilling. The safari timing varies from season to season. 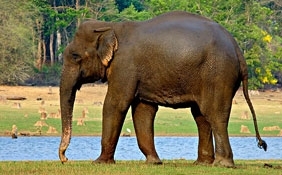 You can explore the whole wilderness riding on an elephant's back or on a jeep. 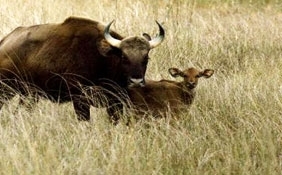 You can visit Kanha National Park almost any time of the year. Different time of the year will provide you with different natural beauty of the park. 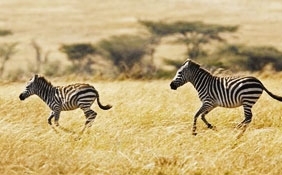 You can visit during mid June to October, which remains the rainy season, during the cold season from November to January or between March to mid June, which remains hot. 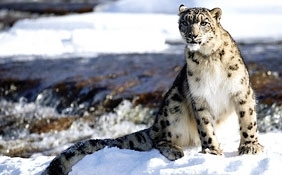 The availability of the wild lives varies for each season. 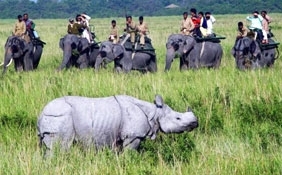 Within the Kanha National Park, you can find various attractions, which are worth visiting. 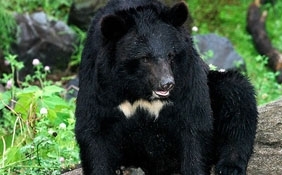 You can visit Bamni Dadar and Kanha Musuem. 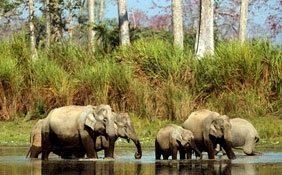 Hotels and resorts in Kanha National Park, Madhya Pradesh includes Krishna Jungle Resort, Kanha Jungle Lodge, Tuli Tiger Resort, The Wild Chalet Resort, Royal Tiger Resort, the Hiawatha Lodge, The Celebration Van Vilas and Kipling Camp to mention some of them.